Learn some exciting new ways to convey your process flows using in-built tools in your software. 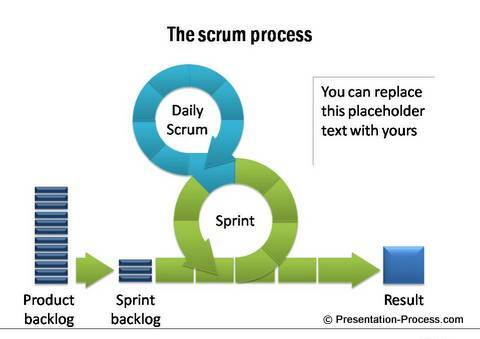 SmartArt provides some good options to represent process flows. 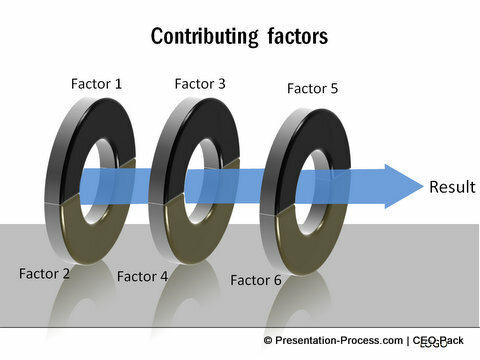 But, the impact of the diagrams depends on the amount of thought you put behind creating those diagrams. 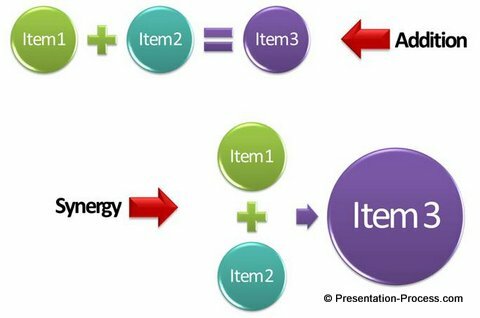 While these are better alternatives to plain bullet point slides, they don’t capture the entire story of your presentation clearly.In this article, we will show you how you can convey more with the same process diagram options available in SmartArt. Though the layouts look similar, they convey very different meanings. The first layout says that Item 1 and 2 combine to produce Item 3. For example, Team A and Team B constitute Loan Processing Department in a bank. The second layout says that two elements combine to produce synergistic result. For example, Companies A and B merge to provide a better and holistic solution to their target customers. You can convey your business message more accurately by choosing the right option that reflects your thought. These two layouts convey very different meaning than the default options available in SmartArt tool. Tweaking default layouts helps you communicate your ideas better. 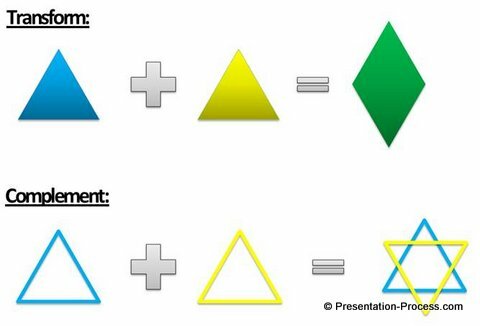 Once you have the diagram in your head, select an option from SmartArt tool that closely matches your thought process. When you follow this simple routine, you will get better results for your effort. By now, you would have realized that the more options you have, the better you can represent your ideas in a business presentation. But, SmartArt tool doesn’t provide you enough options to convey all your thoughts in the way you want. Customizing the layouts each time might be tedious and inefficient. That is why we came up with our ‘PowerPoint Charts and Diagrams Templates Pack for CEOs’. The pack has more than 750 fully editable diagram templates to help you convey your message more accurately and elegantly. 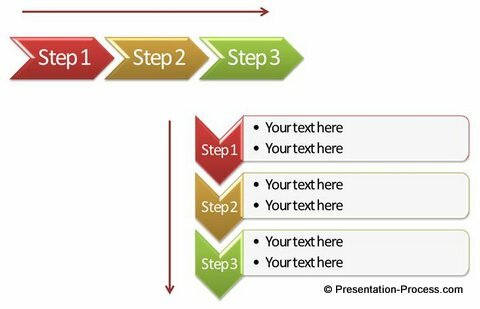 All you need is to copy our diagrams to your slides and replace sample text. You can add your own logo, change animations, colors, fonts, 3D perspective and do everything you would ever want to do with your diagrams. 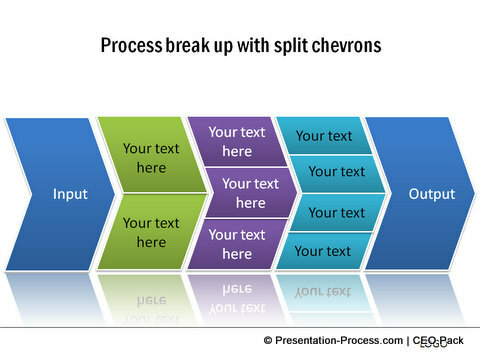 Using the CEO diagrams pack is a smart way to create professional presentations fast. If you are a business presenter and have not taken a look at our diagram templates collection yet, you are missing something. Please browse through our collection and see how our templates can change the way you create your presentations forever.